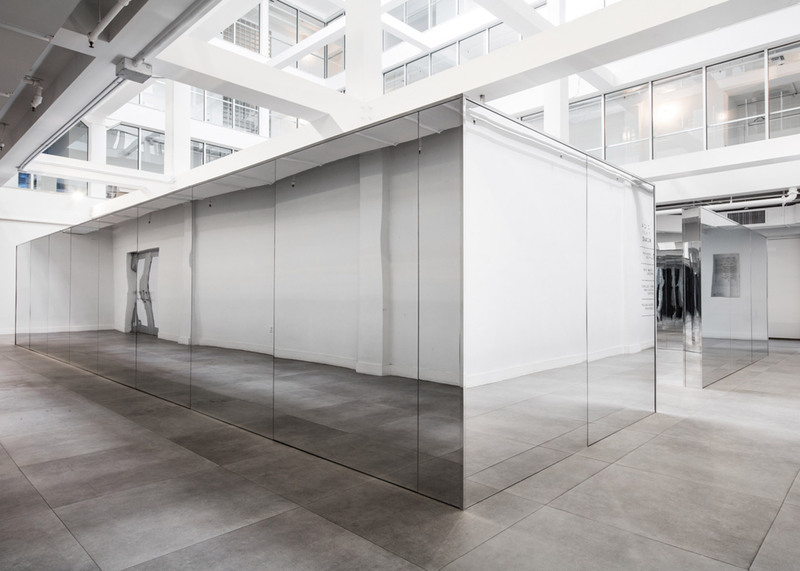 If mazes weren't confusing enough already, American artist John Miller has built one from mirrors to further bewilder lost visitors, at Miami's Institute of Contemporary Art (+ slideshow). 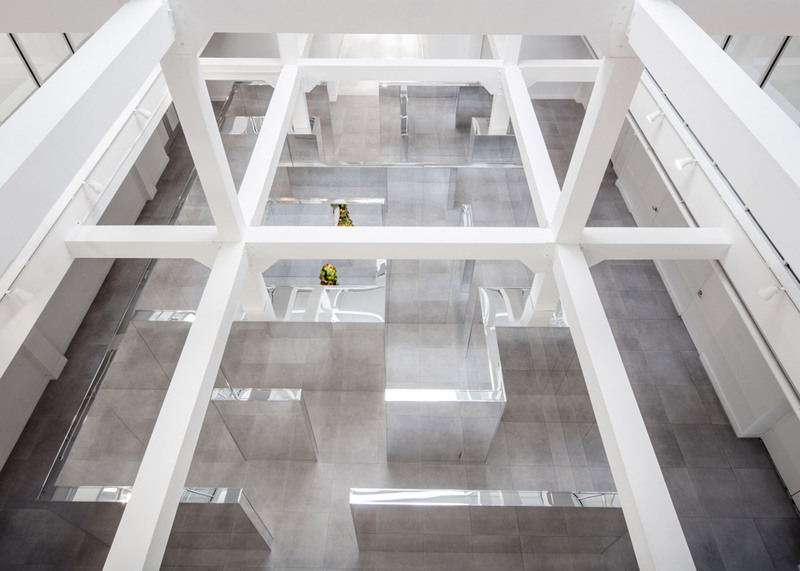 The labyrinthine installation, aptly titled Lost, has been constructed in the Atrium Gallery at ICA Miami as part of a solo exhibition of Miller's work. 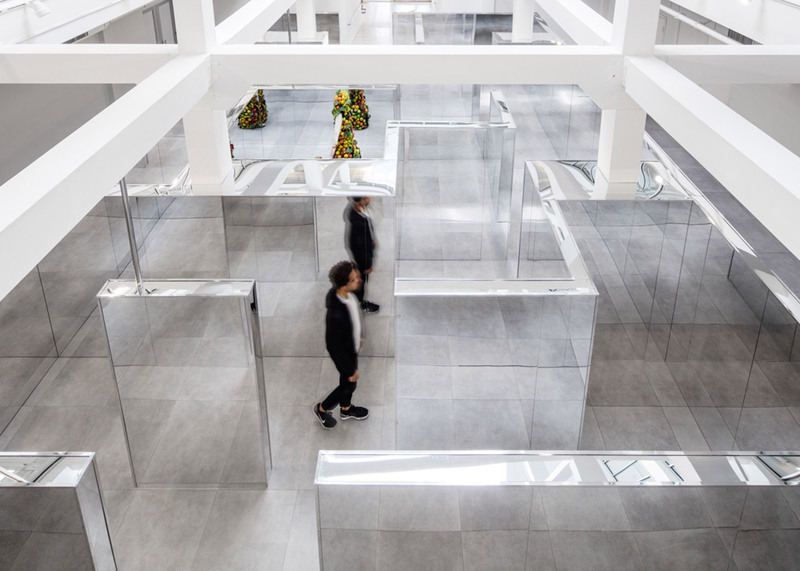 Covering approximately 74 square metres, the site-specific maze is built from acrylic mirrors mounted on wood frames. 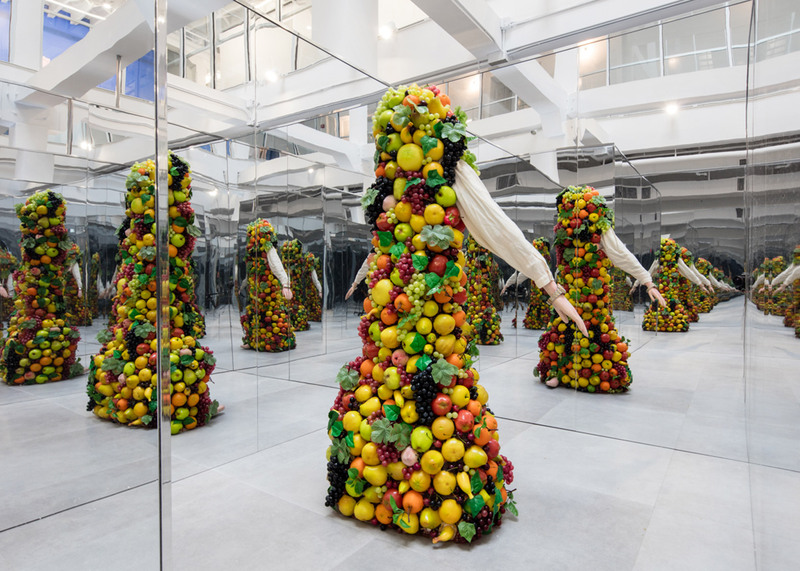 "With the mirrored labyrinth, Miller creates an environment that disorients by creating reflections of the self," said Alex Gartenfeld, the museum's deputy director and chief curator. 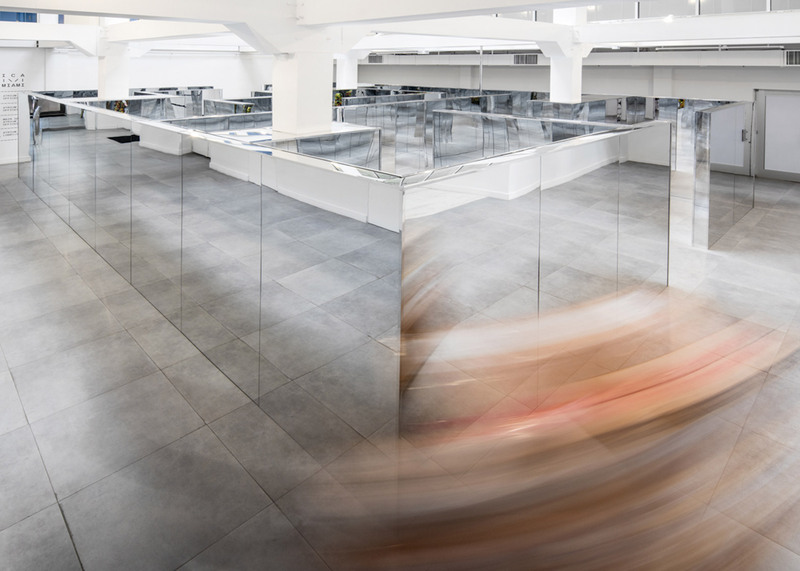 Both the external walls and internal partitions are covered in mirrors, arranged to encompass the room's structural columns and create a winding route. At the centre of the maze is a sculpture created to look like a person covered in fruit, with only their arms left on show. The rest of the I Stand, I Fall exhibition features 75 of the artist's works that trace his use of the human figure in painting, sculpture, drawing, photography, installation and video. "John Miller's work frequently uses the depiction of the figure to consider how images construct reality," Gartenfeld told Dezeen. The showcase includes never-before-seen works from the 1980s and new large-scale sculptures by Miller, who was born in Cleveland, Ohio, and now lives and works in both New York City and Berlin. I Stand, I Fall runs from 18 February to 12 June 12 2016, although the Lost maze is only on show until 15 May 2016. Mazes date back to the ancient world, with legends that include the elaborate Labyrinth built for King Minos to hold the Minotaur monster. Numerous artists and designers have created contemporary versions, using a variety of materials. Gijs Van Vaerenbergh chose steel to form a kilometre of corridors at a Belgian coal mine, BIG selected wood for a concave maze at the National Building Museum in Washington DC, and Robert Morris picked glass to be the walls of his transparent labyrinth at Kansas City's The Nelson-Atkins Museum of Art. Photography is by Fredrik Nilsen Studio, courtesy of Institute of Contemporary Art, Miami.